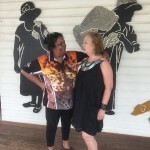 The Ration Shed Museum » A heartwarming meeting! The Ration Shed MuseumCherbourgA heartwarming meeting! 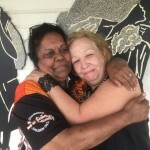 The Ration Shed President, Aunty Sandra Morgan, had a surprise visit today. 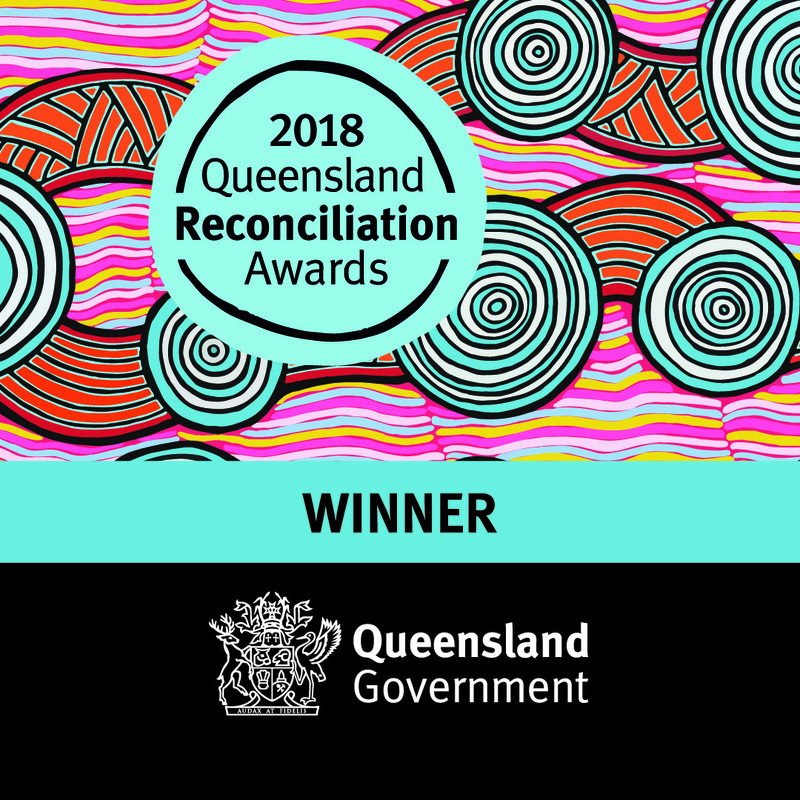 More than 50 years ago Sandra worked as a domestic in a home in the Brisbane suburb of Bardon. One of the children who she cared for was the 7 year old Annie Richards, 5th youngest of 8 in the household. Sandra was 19. Annie came to the Ration Shed today asking if we “know a Sandra Malone?” Sandra smiled and opened her arms. For a number of years after Sandra left Bardon and returned to Cherbourg they had stayed in contact, writing regular letters. Looking back Sandra says she suspects that many of Annie’s letters never got to her as all Cherbourg residents’ letters were opened and read by the settlement officials and they probably did not like the tone of Annie’s letters. 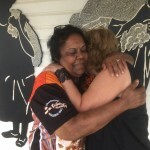 She told us today how her father had kicked her out of the house as she got involved in activist groups in Brisbane. “Whenever I was on a march or protest I said to myself: ‘this is for Sandra’”. When Sandra left she had wanted to follow but as a young girl she had no idea where Cherbourg was. 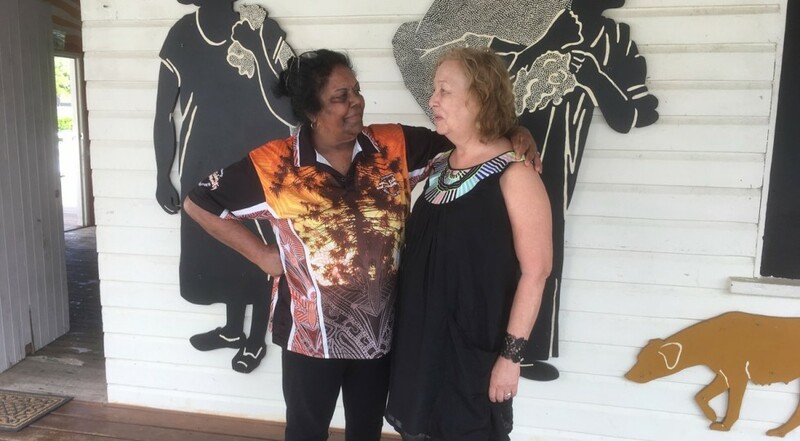 Today she came to Cherbourg and was overwhelmed by the Ration Shed and the re-connection with the woman who had such an impact on her early years. A wonderful story about two wonderful women. I am Margaret Richards, sister of Anne. I remember Sandra as a loving happy presence in our family home and a great help to our mother. A real friend to Anne and myself. I was 11 years old. Sandta taught me to jive on our front verandah overlooking Brisbane city. When my parents were out we would find some good rock and roll on the radio and turn it up LOUD!